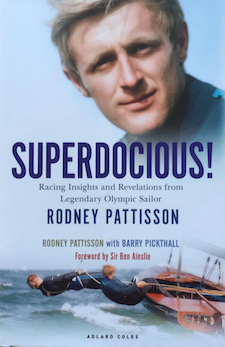 The previously untold life story from legendary sailor Rodney Pattisson, multi-world champion, triple Olympic medallist... And scourge of the yachting establishment. This controversial autobiography is a must read for any aspiring champion - a warts and all account of one man's drive to reach the top and the fair and foul methods employed by rivals and established figures within the sport to undermine his continued dominance and influence. With a foreword by Sir Ben Ainslie CBE and introduction by Admiral Lord Boyce, the former First Sea Lord and Chief of the Defence Staff who graduated from Dartmouth Naval College with Rodney, and crewed for him in his first Flying Dutchman campaign, the book sets out to determine what makes an Olympic champion. The winner of fourteen world and European championships in dinghies, multihulls and offshore, Rodney has set multiple race and speed records, and with Lawrie Smith, led Britain's challenge for the America's Cup in 1983. They were beaten in the finals by Alan Bond's eventual winner, Australia II. He's a perfectionist when it comes to preparation, and passionate about speed on the water, Rodney's successes stem from a selfless focus on the end goal, a ruthless desire to win and an unquenchable thirst to succeed in everything he does. An intensely private individual, Rodney has always kept the media at arm's length, viewing press attention as an unwanted distraction from winning. His previously untold story not only charts his own trials and tribulations in becoming one of the best sailors in the world, but also reveals the double standards, deceit, political and sporting interference and outright cheating he faced along the way. Superdocious! is an explosive commentary, on a lifetime of remarkable achievements in an international sport that Rodney made his own. His story will shock, amaze and inspire not just today's young sailors looking to realise their own dreams, but every sportsman and woman around the world.